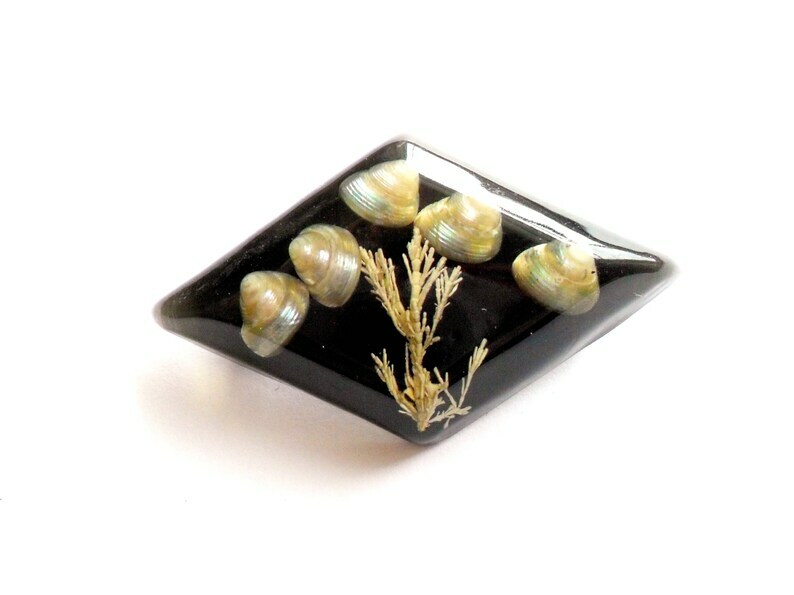 Channel your inner mermaid with this fabulous lucite brooch with embedded sea shells and seaweed! This lucite brooch is in good vintage condition, with minimal wear. Brooch measures 1 7/8 inches wide, 1 inch tall.